Click Here to download the front cover of the book. 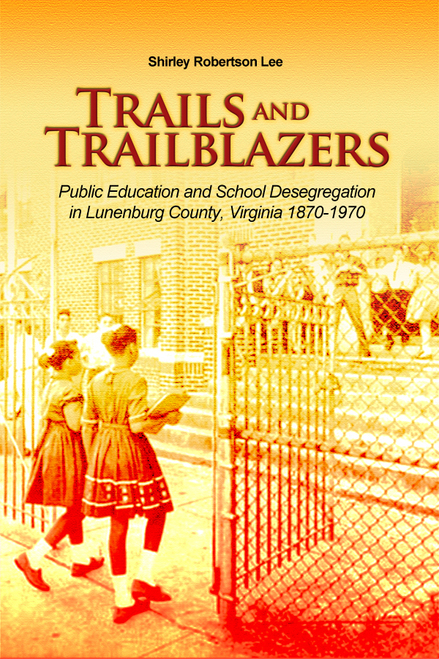 Following the 50th anniversary of the 1964 Civil Rights Act, this book provides a story of how Lunenburg County, a rural school district, in Southside Virginia transitioned - in the span of one hundred years - from a segregated to an integrated, unified system. The Lunenburg story is as important as that of its neighbor, Prince Edward County, although its transition is less dramatic. This story is part of what occurred in public education during this important chapter. As a life-long resident of Lunenburg County and former student attending segregated schools from the first to eleventh grade and an integrated school during her senior year, Shirley Robertson Lee offers a thoroughly researched and passionate study of public education and school desegregation. By the time segregated schools ended in Lunenburg County in the fall of 1969, it had been nearly fifteen years since America’s racially segregated school systems were found to be unconstitutional in the case of Brown v. Board of Education on May 1, 1954. The first totally integrated Lunenburg senior class graduated in spring of 1970. Shirley Robertson Lee is a member of that class.